The Reform of For-Profit Colleges: Can They Give Up Their Predatory Ways? They've played a big role in the student-loan crisis, saddling at-risk students with debt. But now they're under pressure from federal regulators. Is the industry about to change? Gronbach’s presentation began with a joke: “How many people are really excited to listen to a demographer for an hour?” A little manic, Gronbach paced the stage, taking audible sniffs as he caught his breath and delivered the next slide. “We’re going to concentrate not on money and stuff, but on people,” he said. But for Gronbach people are opportunity, and opportunity is money. For the people in charge of for-profit schools, they already have. They’ve made them very rich. Between 1998 and 2008, for-profit enrollment increased 225 percent by one count, nearly eight times the rate of the rest of higher education. During the bleakest days of the Great Recession, stock prices soared as students went back to school in a bad job market. In 2009, publicly traded for-profits were $3.2 billion in the black, before taxes. But now for various reasons — a rebounding economy, harsh media coverage of the sector’s abuses, and tighter federal regulation — enrollment is down across the sector. A talk like Gronbach’s was meant to pep up morale. Soon, a loud hiss started to drown him out, working its way across the room. It was the rain, moving across the thin roof, pounding, hissing, pleading to be let in. The storm had come. If you care about understanding the country’s student loan situation, the best place to start is with for-profit colleges. For the past ten years there has been no sector that’s relied on student loans more than for-profit schools, and no sector that’s used them more to its advantage. For-profits include brands you’ve heard of — University of Phoenix, Kaplan, DeVry — and small mom-and-pop outfits you haven’t — Fountainhead College of Technology, National Tractor Trailer School, and Spartan College of Aeronautics and Technology. Overall, it’s estimated over 4 million students attend for-profits annually. In a more innocent time we called these schools career colleges; their express purpose is to prepare people to take on a job they wouldn’t have been able to get otherwise. They offer certificates, associate’s, bachelor’s and grad degrees, like any other school, just with more of a focus on the outcome than the process. It is all about school equating to a job. In that sense for-profits are the rare party in higher education that acknowledge what college has become: a commodity. Take, for instance, Corinthian Colleges, Inc., a network of over 100 for-profit schools across the country. Founded in 1995 and IPO’d in 1999, Corinthian has grown by purchasing other schools and creating its own campuses where it sees demand. Unlike many for-profits, Corinthian focuses on campus-based learning, with three main brands spread across the country: WyoTech, Heald, and Everest, each with its own specialties. WyoTech has a host of automotive repair courses. Heald offers associate’s degrees in business administration. Everest’s medical assistant certificates are very popular, at around $16,000 a pop. About 90,000 students attend one of the Corinthian schools. The people signing up for the courses are, by and large, the ones for whom a traditional college setting isn’t ideal. They’re usually older, poorer, busier, or some combination of the three. And yet they’re spending more money on college. By some counts, 96 percent of for-profit students take out loans, and nearly all of them are drawing from federal financial aid. In comparison, only 13 percent of students going to community college take out loans, because community colleges are a fraction of the cost. So why go to for-profits? Because they offer the luxuries of convenience and efficiency. Matthew Mastrogiovanni, a 44-year-old logistics administrator went to an Everest campus in South Plainfield, New Jersey to change his career and get certified in its 9-month electrician program. Mastrogiovanni’s whole family had been to Everest — his wife completed the Medical Insurance Billing and Coding program, and she only went because she was so impressed with the sales pitch when she brought their son in to register for a pharmacy technician program. For Mastrogiovanni, who works night shifts but wanted a career change, it was their testimonial plus Everest’s “very flexible schedule,” that appealed. He said Everest had told him the electrician field was booming with jobs — “and it is booming if you’re 18 and you’re living at home with mom and dad,” he said. He faults Everest for not specifying that the jobs wouldn’t pay him what he needed as a middle-aged guy with a family. Since graduating almost a year ago, he’s had only one job interview, and he found it on his own. He still works in logistics for a stock room company. His electrician program cost more than $19,000. He’s had to put his loans in deferral as he pays off the Everest loans for the rest of his family. The schools justify their extra cost by offering accelerated programs and more robust distance-learning options that can accommodate a more demanding lifestyle. This, they’ve determined, is what the rest of higher education isn’t offering — and it’s what’s worth at least an extra $10,000. This is all made possible because the federal government has made it possible with its financial aid program. For-profits long ago realized that the most sustainable business model is the one that feeds off of the government’s largesse. Going up against community colleges is a lot easier than going up against Harvard, especially when the federal government can foot a large part of the bill. The market has confirmed their suspicions. By one count, the sector burned through $32 billion of federal funds in 2009-2010, a quarter of the DOE’s student aid allotment. In 2010, the federal government spent $509.3 million in Pell grants just for Corinthian’s 113,818 students. But Pell grants don’t have to be paid back; the sector’s $32 billion is comprised largely of loans. Ultimately, it’s students who are on the hook. The readily available funding from student grants and loans has created an entire industry — and one that many now consider a predator against the very population that the loans were meant to empower. It’s an unintended consequence of legislation: our ideals demanded we provide loans so people can afford to go to school before they can actually afford to go to school, but the market’s demands created an opportunity to profit. Without federal financing, the for-profit sector would be a fraction of the size and its students would be much less in debt. But far fewer Americans would have diplomas. It’s a trade-off: If we as a country want to ensure there’s a path to upward mobility, we have to help finance the way. But financing comes with risk, and some students are going to be left behind rather than thrust ahead. This is what makes the political debate over for-profits’ role in higher education so warped. Here’s a sector that should be a liberal cause. It serves America’s neediest population, and uses tens of billions in public funds to do it. But its emphasis on the private over the public sector and its unabashed interest in pursuing profit aligns it with Republican orthodoxy. In a different Washington this would lead to bipartisanship. In our Washington it leads to scorched earth campaigns. 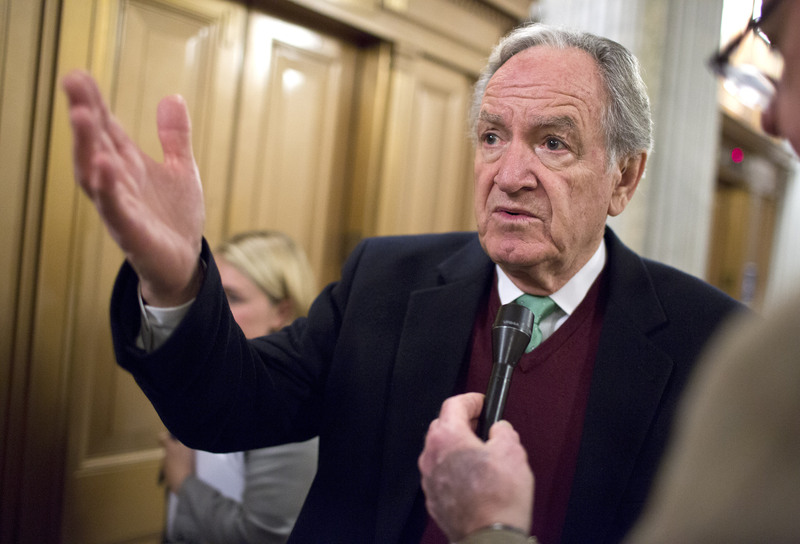 As a case study, take Senator Tom Harkin’s crusade against for-profit colleges. For two years he and his staff worked on a report on for-profit colleges’ questionable practices and heavily indebted students. It is the most comprehensive third-party report available on the sector, and much of the preceding data comes out of their work. To cap it off, the report found that somewhere between 50 and 70 percent of students left school without getting a diploma. Going into debt but not getting a degree is probably the worst outcome for any college student — the student assumes much of the cost without attaining most of the benefit. Gunderson and others I spoke with think Harkin and his team are opposed to the very idea of for-profit higher education, and so trying to change their minds is futile. They think Harkin’s report manipulates data, composes an incomplete snapshot, and uses select cases of malfeasance to build an overly-broad narrative about the industry. Chief among the criticisms is that opponents don’t take into account that for-profits are serving students far more likely to drop out of school or have trouble repaying debts, because they come from disadvantaged backgrounds. It is difficult for high schools to educate the students society has left behind, so why should it be any different for for-profit colleges? Before wading through education statistics — and there’s a swamp of them — it’s best to pack a machete. For-profits make easy targets. They’re more expensive than community colleges, less established than storied elites, and less glamorous than mid-tier schools with gleaming athletic facilities. They’re also some of the few schools that still explicitly traffic in an increasingly outdated American Dream: come from adversity, go to school, get a job, become financially stable. And then of course there’s that emphasis on profit, something that’s anathema to the platonic ideal of American education, if not the modern reality. For-profits, in other words, are weeds amidst the ivy, thriving in the cracks and growing faster than they can be cut down. They keep growing for a reason — they’ve adapted to modern higher education better, and sooner, than nearly any other bloc of schools. They may not be pretty, but they’re here to stay. But poor results and abuses throughout the sector have forced the Obama administration to try and regulate the colleges. For the past few years the Department of Education has tried to ensure for-profits don’t manipulate students into enrolling, and then leave them unable to make their loan payments after graduation. The regulations have already changed for-profits, and even they admit it’s largely been for the better. But now there’s a new debate taking place, and it’s one that demonstrates just how hard it is to force colleges to be accountable for how much debt their students have after they leave. The rise and regulation of for-profits can help explain how, for some, college went from being a gateway to the middle class to being an obstacle along the way; and what we can, or should, do about it. Inside the exhibitor hall of the APSCU convention in Florida, it was initially difficult to see an industry chastened. As the attendees slurped their ceviche shooters, the exhibitors hawked their wares. A company called Tribeca Marketing Group had someone in full, spray-painted Statue of Liberty regalia, like a street performer who had mistaken suburban Orlando for Times Square. Pyramid Financial Solutions claimed they were expert at “Turning Tuition into Profit.” Gragg Advertising — “Memorable Creative, Measurable Results” — had a virtual golf course. Left behind were a bunch of companies hyping their morality. It was especially apparent in “lead generators” — a class of companies unique to for-profits that help the schools find potential students. Lead generators have largely gained a reputation as unscrupulous vultures, willfully leading students who don’t know any better to a college even if it isn’t a good fit. Traditional colleges buy leads, as well (the College Board sells its massive address book of kids who take the SATs). It’s just that for-profit lead generators are recruiting some of the most at-risk high school graduates in America. But these days, ethics are in. One of the convention’s sponsors, Beelineweb.com, took out an ad on the back of the program that read, “We’ve been doing organic since last century.” When I asked another lead generator, Education Dynamics, which runs sites like GradSchools.com and EducationConnection.com, what was special about their leads, a woman named Anya Bierzynski corrected me: “They aren’t leads to us. They’re highly vetted student inquiries.” Behind her, Shannen Doherty starred in a commercial for one of Education Dynamics’ sites. “What’s been great is having this industry get thrown under the bus has made the people who were engaging in unethical practices, the light’s being shown on them now in pretty good ways. Our business model has to be about producing graduates. 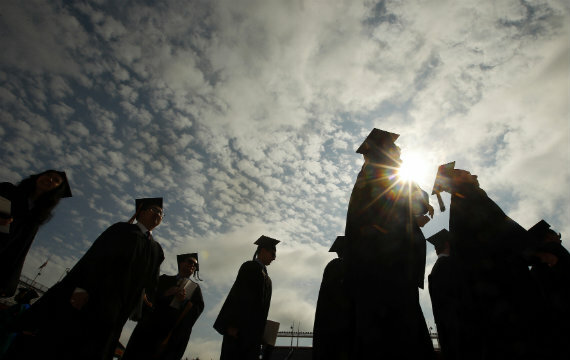 And those graduates have to get jobs,” he told me. This is what happens when an industry feels the hot, bureaucratic breath of federal regulators on its neck. It wises up. For-profits have long been regulated by the feds. In 1992, Congress imposed restrictions on for-profits, two of which still resonate. The first required that at least 15 percent of for-profits’ revenue came from non-federal dollars. The sector could not exist entirely off the welfare state. That’s since been relaxed to only be 10 percent of a college’s revenue (what’s commonly called the 90/10 rule). These days the average for-profit bases more than 80 percent of its revenue on federal grants and loans, and that’s without factoring in various loopholes. Without federal grants and loans making it easy for poor students to go to school, the bottom would undoubtedly fall out of vast numbers of for-profit colleges. The second restriction limited the sector’s most pernicious recruiting tactic: paying its recruiters based on how many students they could enroll. By rewarding recruiters on quantity rather than quality, the universities were able to make a quick buck, but students were left paying for something they couldn’t use to their advantage. It was salesmanship, not education, and it was the kind of thing that gave for-profits such a bad name. By 2002, the industry had convinced George W. Bush’s Department of Education to add 12 loopholes into the law, essentially reversing the recruiter regulations that had already taken effect. Recruiter salaries could be adjusted as long as they weren’t 100 percent based on whether or not the recruiter had netted a good haul. “Incentive compensation,” as the industry calls it, proliferated again. By 2009, as the Obama administration began to make student debt an issue, there was another effort to stop for-profits from rewarding indiscriminate promises. But the industry was too occupied elsewhere to worry about incentive compensation. And so it was outlawed. Now, everyone — including the industry itself — praises it. “I think incentive compensation for enrollment is a bad thing. 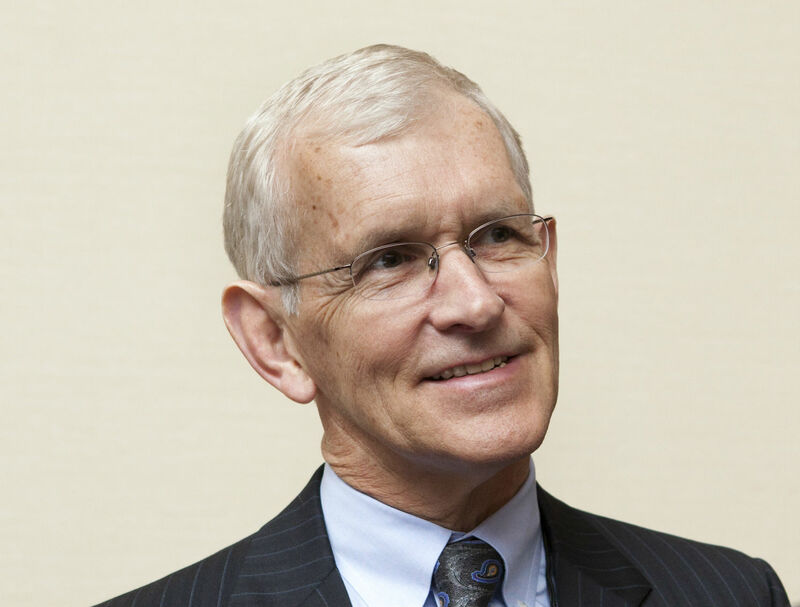 I think incentive compensation for graduation makes all the sense in the world and we oughta be fighting for it,” Steve Gunderson, APSCU president, says. In a fractious corner of education, the one thing everyone can agree on is that there shouldn’t be any reenactments of Glengarry Glen Ross. All of that spurred action, and what followed was a remarkable glimpse into the country’s student loan problem, and why it’s so damn hard to fix it. The Department said it had the power to make a vocational college prove that it could “prepare students for gainful employment in a recognized occupation,” based on the Higher Education Act of 1965. That “gainful employment” bit is the key here — and all the regulations that followed would come to be known by that moniker. If a college couldn’t prove it was helping its students with gainful employment, its students, and thus its coffers, weren’t entitled to federal aid. The question became what, exactly, gainful employment is, or should be. To put it another way: What qualifies as gainful employment? Does the student have to make more money after college than she would have before? Does it matter how much debt she went into to earn a degree? On average, graduates shouldn’t be spending more than 12 percent of their annual income on loan repayments. 35 percent of a college’s graduates and drop-outs need to be repaying their federal loans after they stop taking courses. Students shouldn’t be spending more than 30 percent of their discretionary income on paying back loans. Only after a college failed all three thresholds for three consecutive years would they lose access to federal funds. Analysts estimated that the regulations would have made 5 percent of for-profits ineligible for federal funds, effectively dooming them. To recap: the worst actors in the industry would be put out of business, the ones left behind would be able to boast that they’re DOE-approved, and the industry could begin to shake the impression that it’s overpriced, underwatched, and interested more in students’ money than their post-graduation livelihoods. But to for-profits, gainful employment was a pox on their campuses, a discriminatory middle finger from an administration hostile to all things profit. They sued. They won. A federal district court judge struck down the gainful employment regulations, citing the DOE’s arbitrary choice of 35 percent as the repayment threshold. The Department had a right to hold for-profits accountable for its repayment rates, but not without some basis of what the threshold should be. Nevertheless, the regulations, or the threat of them, have had a major effect on the for-profit sector. Enrollment was down 2.8 percent in 2011, compared to a .2 percent drop in higher education overall. Apollo Group, which runs the University of Phoenix, noted a 14 percent drop in enrollment between summers 2011 and 2012, and its stock is down 80 percent from its 2009 high. Industry watchers attribute this partly to a rebounding economy, but also to new orientation programs in various schools that let students take classes tuition-free for a trial period, so that if they drop out they won’t incur debt and hurt the college’s default rates. That type of screening has led to lower enrollment. Not to be denied, this September the Department of Education restarted negotiations around gainful employment. For-profits have resumed their fierce opposition to it. As the for-profits fight for their livelihood, they’re fighting against the very thing that could help legitimize them. "How Do You Balance Outcomes Versus Access?" Steve Gunderson still shakes hands like a congressman. Double clasp, eye contact, big smile on his elfin face. Gunderson, the president of APSCU, was a Republican congressman from Wisconsin until 1997, three years after being outed as gay on the floor of the House. Now he’s the figurehead of for-profit higher ed, taking the APSCU CEO job in 2012. He’s the guy who has to make the case against the Department of Education’s vision of gainful employment. I first met Gunderson in late June, before he was scheduled to give the commencement address to hundreds of DeVry graduates in Crystal City, Virginia. Good with small talk, he has a hushed speaking voice when he’s not at a lectern, and has a habit of tucking his fingers against one another as he leans forward in his seat. Gunderson, who hates waiting in line, filed into the room along with the graduates. “Pomp and Circumstance” played. Families craned their iPads to get a good picture. Aside from the large number of minority faces in the crowd and under the mortarboards, it was like any other college’s graduation. When it was Gunderson’s turn at the dais, he name-dropped Thomas Friedman, David McCullough, Ralph Waldo Emerson, and President Obama. He also tried to assure the graduates that their degree was money well spent. He said associate’s degree recipients could expect an extra $423,000 in lifetime earnings. Bachelor’s degrees: $900,000. The subtext was clear: your student loans are nothing compared to what you’re about to reap. “Today, entrance into the American middle class requires a combination of hard work, education and career skills,” Gunderson said, “You have been given that gift. The question now is how you will use it.” But for nearly all of these students, the gifts were paid for with an installment plan. Two days later I went to Gunderson’s office, a nice corner unit nine floors above Connecticut Avenue in D.C., to have a chat. On the agenda: gainful employment, the sector’s struggle for legitimacy, and how to ensure a college is actually doing its job. His book, The New Middle Class: Creating Wages, Wealth, and Opportunity in the 21st Century, sat on a coffee table, and we settled in for a two-hour interview. Opportunity. This is Gunderson’s favorite safeword, a tug of the heartstrings and an allusion to a nostalgic American Dream in which anyone, given a chance, can make something happen. APSCU’s convention was titled “Opportunity for all,” remember, and his book’s subtitle is “Creating wealth, wages, and opportunity in the 21st century.” It’s potent stuff, and it’s hard to refute: if someone wants to go to school and better themselves, why should the government stop them? How is it in a government’s interest to deny its citizens that, ahem, opportunity? But how do we judge what an opportunity should cost? Is it our responsibility — as a society, as a government, as a democracy — to do that calculation for consumers? Or is it only Elizabeth Warren’s? But college is not a car. One isn’t supposed to be more likely to pay off car payments after buying a car than she was before. Colleges — and especially for-profit colleges — predicate their entire purpose on that very idea. Higher education is supposed to transform the student, whether it be her mind, her resume, or both. But is it fair to expect the same results from for-profits as from traditional schools, given their students’ demographic differences? Are they handicapped from the start? Gunderson told me that the industry needed more “risk-adjusted metrics,” meaning more data that took the for-profits’ high-risk students into account. The little research that has tried to control for the difference in students has been inconclusive. Even if the data is mixed, are we really to blame for-profits for exploring America’s neglected corners? Reflecting on the industry’s struggles, Gunderson said, “I think it’s a cheap shot to criticize our sector for serving students who are low-income and eligible for financial aid. I don’t see anybody else trying to serve them and I think there’s real evidence that the traditional elites are not reaching out and serving that constituency.” It would be easier to refute Gunderson’s point if states hadn’t just spent a half-decade defunding community colleges. Which brings us back to gainful employment, and what, to APSCU, is fair. Its ideal is simple: Apply the same standards to for-profit schools as to the rest of higher education. As of now gainful employment only applies to vocational schools because of arcane legislative reasons. The sector would prefer that changed. This, of course, also buys for-profits time, as a legislative change like that requires Congress to pass a new Higher Education Act. That is unlikely anytime soon, which is why the DOE has been so aggressive with gainful employment in the first place. On the final day of the APSCU convention, as attendees recovered from the Kool & the Gang concert, I ducked into a panel called “Managing Risk in the Current Regulatory and Legal Environment.” There, five men (lawyers and college officials) gave a presentation about how not to run a company into the ground. General advice: don’t be egregiously predatory, and don’t work with anyone who is. Intrigued by Calhoun’s equating students to swine, I went up to talk with him. Calhoun said he knew better than to speak on the record. Kent Jenkins is the man who does that. If gainful employment regulations had gone into place immediately, 43 of Corinthian’s 143 schools would have failed all three tests. In order to comply with the requirement that more than 10 percent of its income come from non-federal sources Corinthian raised tuition, forcing its students into deeper debt. Corinthian admitted on an investor call that it expected 55 percent of its private loan recipients will default. Amidst all this, it should come as no surprise that Corinthian’s stock is down 89 percent from its 2009 high. He has a point. Federal job training programs are underfunded, stigmatized, and ineffective. And then there are community colleges, which are overburdened and offer a traditional course structure. Indeed, community colleges have a much lower completion rate on 2-year associate programs than for-profits — 21.9 percent compared to 62.7 percent in 2008, according to DOE data. In certificate programs, the numbers are more equal, with community colleges slightly better. Wanting to see a for-profit campus in person, I asked Jenkins to meet me at Corinthian’s Everest Institute in South Plainfield, New Jersey. South Plainfield is part of the larger Everest chain that specializes in medical assistantship, accounting, and electrician training. In 2010, something like 19.7 percent of students who had attended South Plainfield defaulted on their loans. (Numbers aren’t exact because South Plainfield is grouped with several other schools in its default report.) Average loan debt is around $11,000, which Everest discloses to all students, as federal law now requires. South Plainfield’s campus is right off the highway, in a rundown industrial lot. I found Jenkins with South Plainfield’s president, Bob Butterworth. Butterworth came to Corinthian from a background in business, working at Marriott, PepsiCo, and Wendy’s International. He and his sleepy blue eyes had no education experience before this job. Neither did Jenkins and his salt and pepper mustache. The tour began, and seemed to be engineered to rebut every one of the industry’s critiques. Poor customer service? Let me introduce you to our receptionists, whom we call Directors of First Impression. Kids that get lost in the shuffle? Here’s our bulletin board with all the current students’ faces — nearly all people of color — under a label that reads, “Our New Future Graduates.” Sketchy admissions employees? Let’s take a walk to the admissions pod, where everything’s out in the open, so anyone can overhear anything at any moment. Everyone who worked for Everest was wearing nametags, like they were in a commercial. Coming through the vents I detected that familiar, clammy breath of the federal regulator. I hadn’t felt it since Orlando. The campus itself had the feel of the interior of a very new high school — gleaming floors, classrooms that doubled as lab spaces, and kitschy street signs, one of which read “New Start Boulevard.” In one hall there was a piece of paper stuck to the wall that boasted about a 53.36 percent hiring ratio for nursing students out on externships. Students were in class and wandering the halls, the same as students anywhere else — some goofing off, some paying attention. We walked into a physical therapy class as test subjects’ legs were high in the air. These students, and the ones in front of the dental mannequins, and the ones in a makeshift house with loose electrical wiring, and the ones prodding old Dell computers in an IT workshop had come to Everest to try and change something. They wanted something more from their lives, and for various reasons had chosen to spend more to get it. Denice Addy, the South Plainfield grad with the dental assistant diploma, has a job now. But Everest didn’t help her get it. She found it herself, at her kids’ dentist’s office. First the office brought her on as an intern, and then hired her outright. “My school actually didn’t help. Of course they’re going to take that and say that I did. But in all actuality I found it myself,” she said. I asked if she felt like she needed the Everest certificate to get that job. “They’ve hired people that have no experience and they’ve hired from other schools. So, yeah, if I wouldn’t have gone to Everest I probably would have gotten there anyway.” Her program cost upwards of $16,000. But she doesn’t regret going. “I wanted a career, you know?” she told me, reflecting on why being in dentistry is better than her last job, in security. “Because I don’t think security — you don’t need to actually go to school for that.” There is a ladder to climb in healthcare that there wasn’t in security. Going to college was a step towards socioeconomic mobility. Nevertheless, the loans put Addy, Mastrogiovanni, and the rest of for-profit students in a precarious position, just like student loans can do for students who go to more traditional colleges. All of them limited their immediate financial scope in order to hopefully expand it in the future. But for-profit students are the ones less equipped for that adjustment than any other, largely because the society that’s trying to save them now didn’t provide for them somewhere else. Now that the sector’s combative stance towards government in the early part of the decade has passed, what everyone seems to agree on is that change is coming. With a stalled Congress, for-profits remain one of our only immediate chances to experiment with how we hold colleges accountable for student debt. For obvious reasons, they find that onerous; but nearly everyone else should find that exciting. This is the frontier. When the tour came to a close, I walked by the gong that students ring when they enroll, through the lobby with the children’s play set in the corner, and out into a parking lot noisy with the sound of the highway. As I got into Jenkins’ car for a ride to the train station I noticed something in the adjacent lot. It was empty and neglected, having been forgotten years ago. But there was something growing amidst the emptiness. A field of weeds had shot through the asphalt, yearning for the sun. This story originally appeared on Reuters.com, an Atlantic partner site.